We Appreciate & Pamper You! Look no further for the ultimate luxury experience! Plus Safety Pins, Hairspray, Shoe Brush, mending kit… everything you might need is right there for you in the on-deck area. The Dance Vision VIP Concierge Service will make this event truly unforgettable! 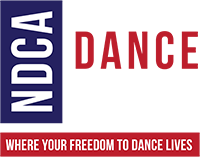 This Dance Competition is sanctioned and abides by the rules of the NDCA.